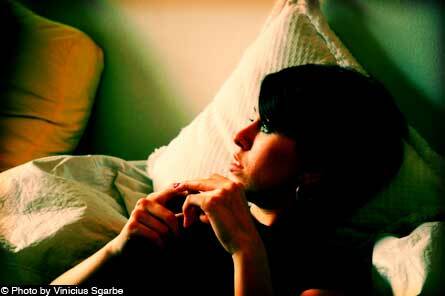 Home Love Articles Jealousy is a Killer: How to Break Free from Your Jealous Feelings. Jealousy is a Killer: How to Break Free from Your Jealous Feelings. Jealousy is a killer. Relationships end because of jealous conflicts and people kill other people because they are jealous. You are at a party and someone is friendly and you smile. Your partner thinks that you are betraying her. Or your partner tells you a funny story about a former lover and you feel threatened. You feel the anger and the anxiety rising inside you and you don’t know what to do. Susan could identify with this. She would glare at her partner, trying to send him a “message” that she was really annoyed and hurt. She hoped he would get the message. At times she would withdraw into pouting, hoping to punish him for showing an interest in someone else. But it didn’t work. He just felt confused. At other times Susan would ask him if she still found her attractive. Was he getting bored with her? Was she his type? At first, he would reassure her, but then---with repeated demands for her for more reassurance---he began to wonder why she felt so insecure. Maybe she wasn’t the right one for him. These kinds of jealous conflicts can end a relationship. But, if you are jealous, does this mean that there is something terribly wrong with you? My colleague, Dennis Tirch, and I just published a paper on jealousy---and how to handle it. Click here to get a copy of the article that appeared in the International Journal of Cognitive Therapy. We describe a step-by-step approach to helping people cope with their jealousy. Let's look at what is going on when you are jealous and how you can handle it. Jealousy is angry agitated worry. When we are jealous we worry that our partner might find someone else more appealing and we fear that he or she will reject us. Since we feel threatened that our partner might find someone more attractive, we may activate jealousy as a way to cope with this threat. We may believe that our jealousy may keep us from being surprised, help us defend our rights, and force our partner to give up interests elsewhere. Similar to worry, jealousy may be a “strategy” that we use so that we can figure out what is going wrong or learn what our partner “really feels”. We may also think that our jealousy can motivate us to give up on the relationship—so that we don’t get hurt any more. If you are feeling jealous, it’s important to ask yourself what you hope to gain by your jealousy. We view jealousy as a coping strategy. Similar to other forms of worry, jealousy leads us to focus only on the negative. We interpret our partner’s behavior as reflecting a loss of interest in us or a growing interest in someone else: “He finds her attractive” or “He is yawning because I am boring”. Like other forms of worry, jealousy leads us to take things personally and to mind-read negative emotions in other people: “She’s getting dressed up to attract other guys”. Jealousy can be an adaptive emotion. People have different reasons—in different cultures---for being jealous. But jealousy is a universal emotion. Evolutionary psychologist David Buss in The Dangerous Passion makes a good case that jealousy has evolved as a mechanism to defend our interests. After all, our ancestors who drove off competitors were more likely to have their genes survive. Indeed, intruding males (whether among lions or humans) have been known to kill off the infants or children of the displaced male. Jealousy was a way in which vital interests could be defended. We believe that it is important to normalize jealousy as an emotion. Telling people that “You must be neurotic if you are jealous” or “You must have low self-esteem” will not work. In fact, jealousy—in some cases—may reflect high self-esteem: “I won’t allow myself to be treated this way”. Psychologists---especially psychoanalysts---have looked at jealousy as a sign of deep-seated insecurities and personality defects. We view jealousy as a much more complicated emotion. In fact, jealousy may actually reflect your higher values of commitment, monogamy, love, honesty, and sincerity. You may feel jealous because you want a monogamous relationship and you fear that you will lose what is valuable to you. We find it helpful to validate these values in our patients who are jealous. Some people may say, “You don’t own the other person”. Of course, this is true---and any loving relationship with mutuality is based on freedom. But it is also based on choices that two free people make. If your partner freely chooses to go off with someone else, then you may rest assured that you have good reasons to feel jealous. We don’t own each other, but we may make affirmations about our commitment to each other. But if your higher values are based on honesty, commitment and monogamy, your jealousy may jeopardize the relationship. You are in a bind. You don’t want to give up on your higher values---but you don’t want to feel overwhelmed by your jealousy. Notice that it is a feeling inside you. But you have a choice of whether you act on it. What choice will be in your interest? When you notice that you are feeling jealous, take a moment, breathe slowly, and observe your thoughts and feelings. Recognize that jealous thoughts are not the same thing as a REALITY. You may think that your partner is interested in someone else, but that doesn’t mean that he really is. Thinking and reality are different. You don’t have to obey your jealous feelings and thoughts. Notice that your feeling of anger and anxiety may increase while you stand back and observe these experiences. Accept that you can have an emotion—and allow it to be. You don’t have to “get rid of the feeling”. We have found that mindfully standing back and observing that a feeling is there can often lead to the feeling weakening on its own. But uncertainty is part of life and we have to learn how to accept it. Uncertainty is one of those limitations that we can’t really do anything about. You can never know for sure that your partner won’t reject you. But if you accuse, demand and punish, you might create a self-fulfilling prophecy. Your jealousy may be fueled by unrealistic ideas about relationships. These may include beliefs that past relationships (that your partner had) are a threat to your relationship. Or you may believe that “My partner should never be attracted to anyone else”. You may also believe that your emotions (of jealousy and anxiety) are a “sign” that there is a problem. We call this “emotional reasoning”—and it is often a very bad way to make decisions. Or you may have problematic beliefs about how to feel more secure. For example, you may believe that you can force your partner to love you—or force him or her to lose interest in someone else. You may believe that withdrawing and pouting will send a message to your partner---and lead him to try to get closer to you. But withdrawing may lead your partner to lose interest. Sometimes your assumptions about relationships are affected by your childhood experiences or past intimate relationships. If your parents had a difficult divorce because your father left your mother for someone else, you may be more prone to believe that his may happen to you. Or you may have been betrayed in a recent relationship and you now think that your current relationship will be a replay of this. You may also believe that you have little to offer—who would want to be with you? If your jealousy is based on this belief, then you might examine the evidence for and against this idea. For example, one woman thought she had little to offer. But when I asked her what she would want in an ideal partner---intelligence, warmth, emotional closeness, creativity, fun, lots of interests---she realized that she was describing herself! If she were so undesirable, then why would she see herself as an ideal partner? You don’t have to rely on jealousy and jealous behavior to make your relationship more secure. You can use more effective behavior. This includes becoming more rewarding to each other--- “catch your partner doing something positive”. Praise each other, plan positive experiences with each other, and try to refrain from criticism, sarcasm, labeling, and contempt. Learn how to share responsibility in solving problems---use “mutual problem solving skills”. Set up “pleasure days” with each other by developing a “menu” of positive and pleasurable behaviors you want from each other. For example, you can say, “Let’s set up a day this week that will be your pleasure day and a day that will be my pleasure day”. Make a list of pleasant and simple behaviors you want from each other: “I’d like a foot-rub, talk with me about my work, let’s cook a meal together, let’s go for a walk in the park”. Jealousy seldom makes relationships more secure. Practicing effective relationship behaviors is often a much better alternative.